Merry whatever is left of Christmas, and a Happy New Year one day in advance. 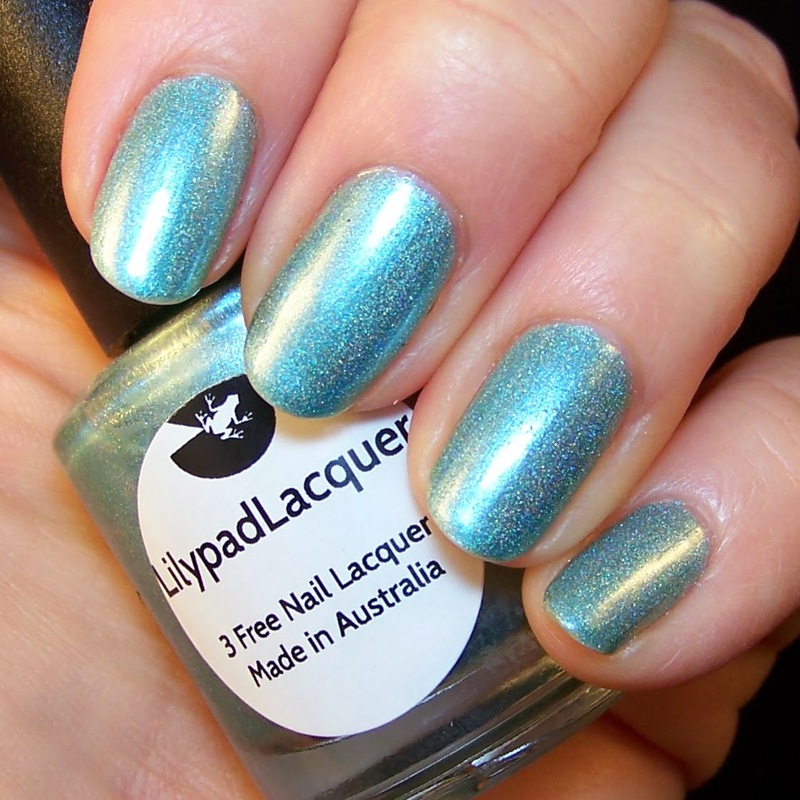 Well no rest for the wicked, I'm back with yet another Lilypad Lacquer: Aquadisiac. I got this from a Facebook swap/sell group. I have been looking at this every time I've ordered from Lilypad Lacquer, but every time I've decided not to buy it. 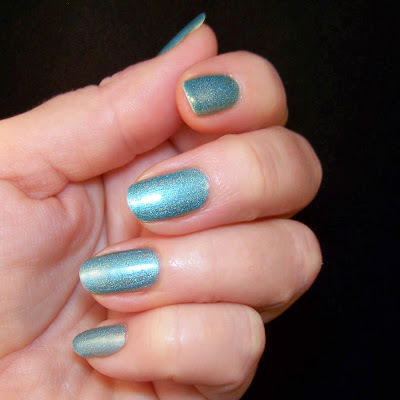 Don't take this wrong but normally I go for the more extravagant and stunnishing polishes, and this seemed a bit too demure. But when it came up for sale in the group, together with Lilypad's Clover all over, I bought them both. It actually IS quite demure and low-key but nevertheless very beautiful and stunning! I'm repeating myself: as almost always with Lilypad polishes the formula is excellent. I used two coats on a base coat, with top coat. Application simple and effortless. 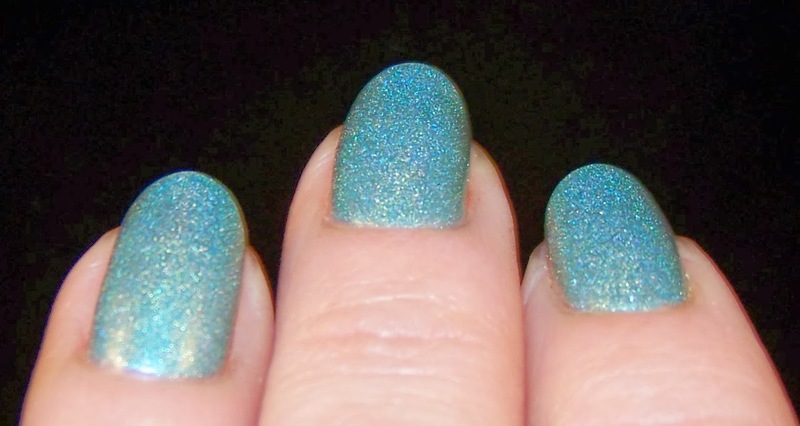 The holo effect is there, a bit subdued but still sparkly and very beautiful. It is a minty aqua green with flashes of gold and some pink.